Edited for your pleasure and convenience. I have moved the survey postcards to the end of the archive, since they interfered with the correct display of the pages when using two-page viewing mode. Straight from a box in my storage unit to my scanner to you to the recycling bin TO INFINITY AND BEYOND!!! 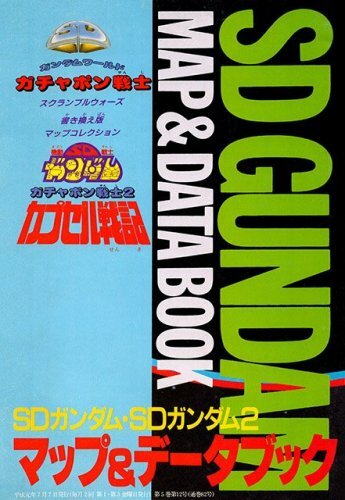 This guide covers the first two games in the SD Gundam: Gachapon Senshi series of strategy games from Bandai. 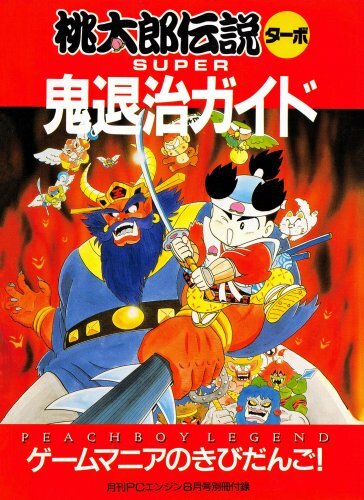 SD Gundam World: Gachapon Senshi - Scramble Wars was released for the Famicom in November 1987. 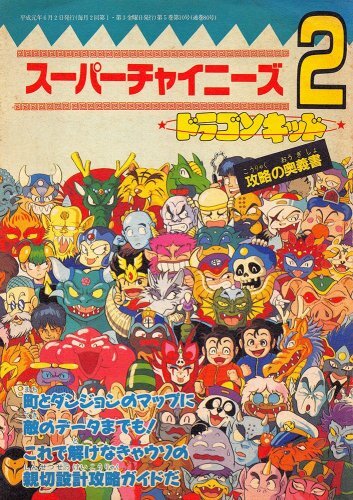 SD Gundam World: Gachapon Senshi 2 - Capsule Senki was released for the Famicom June 25, 1989. 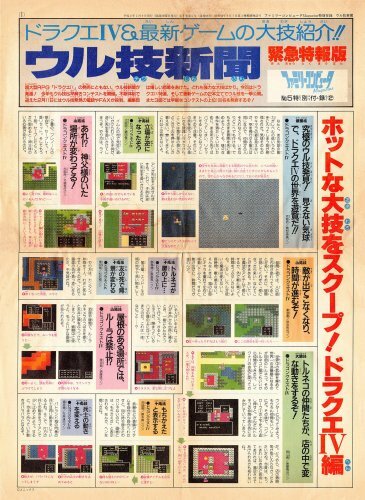 PLEASE NOTE: This guide is printed Japanese style (from left to right), so if you are viewing two pages at a time, you will need to set your CBR reader to "Japanese mode" so that the pages will be displayed in the correct order. If you are viewing a single page at a time this will not be necessary. 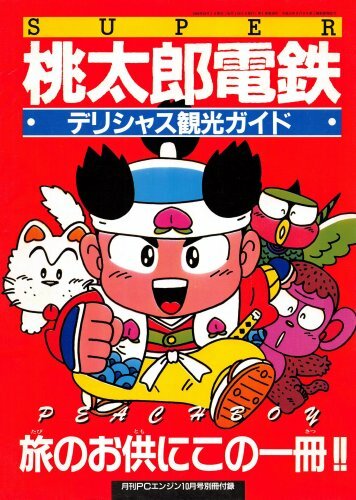 スーパーチャイニーズ２－ドラゴンキッド攻略の奥義書 (Super Chinese 2: Dragon Kid - Strategy Mission Statement) is a supplement to issue 80 of Family Computer Magazine (June 2, 1989). 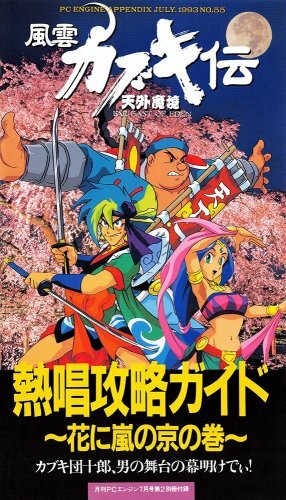 Super Chinese 2 (released in the USA as Little Ninja Brothers) is an action RPG developed and published by Culture Brain for the Famicom. 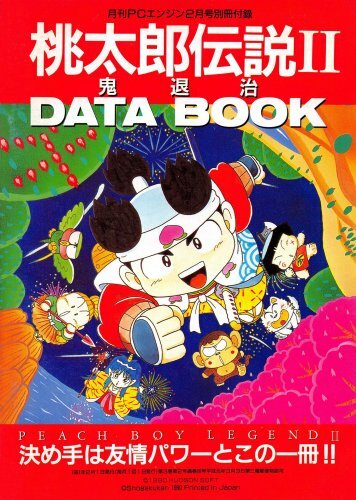 PLEASE NOTE: This guide is printed Japanese-style, meaning it is read from right to left. In order for the pages to align correctly when viewing two pages at a time, your CBR reader must be set to Japanese mode. 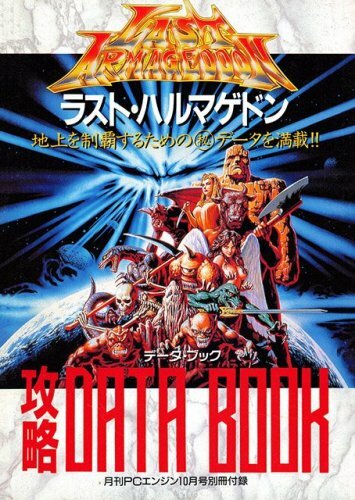 天地を喰らう Tenchi o Kurau, "The Devouring of Heaven and Earth" (released in the USA as Destiny of an Emperor) is an RPG developed and published by Capcom for the Famicom on May 19, 1989. 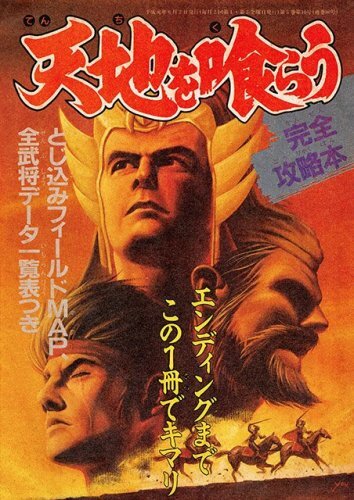 天地を喰らう - 完全攻略本 Tenchi o Kurau - Kanzen Koryakubon "The Devouring of Heaven and Earth - Perfect Strategy Guide" is a supplement of Family Computer Magazine issue 80 (June 2, 1989). 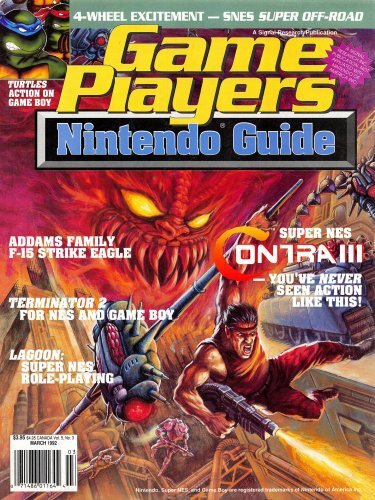 * In order to preserve the page numbering and layout of the rest of the issue, I have moved the fold-out two-sided map/data poster to the end of the magazine. PLEASE NOTE!!!! 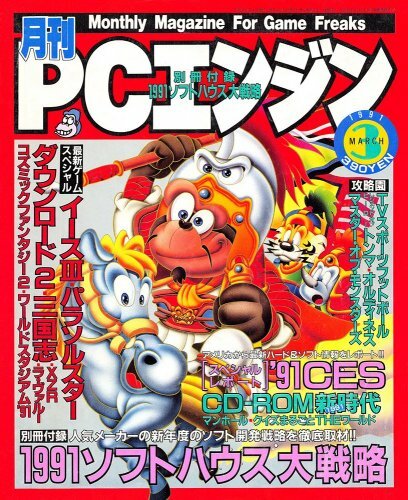 - Family Computer Magazine (and its supplements) are printed Japanese-style, meaning that the magazine's spine is on the right side and pages are opened from the left. Thus, once opened, the pages are read from right to left, with the right page coming before the left page. In order for the pages to display correctly if viewing in two-page mode, "Japanese mode" should be enabled. In Cdisplay, this is easily accomplished via the CTRL-J hotkey (or through the configure menu). If viewing in single page view, the pages will display in the proper order regardless, though keep in mind that again, each page is read from right to left. 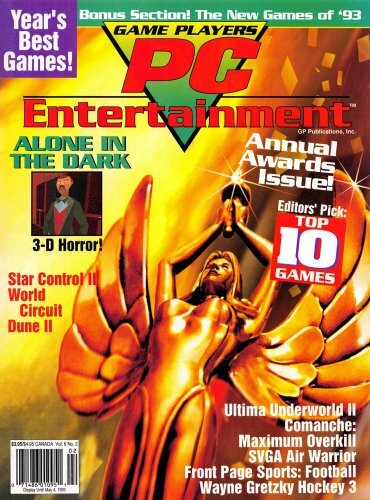 Supplement included with the March 9, 1990 issue of Family Computer Magazine. 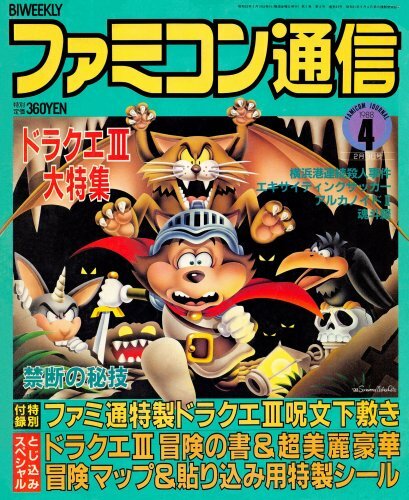 The title, Ultech Shinbun, means "ultimate technique newspaper," and it was printed in newspaper format and featured strategies for several games (mainly Dragon Quest IV). Due to the oversized newspaper-style pages, the files in this archive are saved at 5000px high to allow higher fidelity and larger zoom. Downtown Nekketsu Kōshinkyoku: Soreyuke Daiundōkai - Hisshou Tora no Maki (ダウンタウン熱血行進曲 それゆけ大運動会 - 必勝トラの巻, Downtown Nekketsu March: Let's Go to the Great Athletic Meet - Tiger's Victory Volume) was published as a supplement to the October 19, 1990 issue of Family Computer Magazine (issue 113). 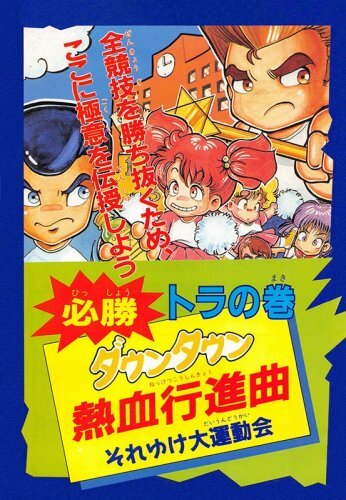 This game is one in the popular and long-running Kunio-kun series of games (including such classics as Renegade, River City Ransom, and Super Dodge Ball) originated by Technos Japan and currently developed and published by Arc System Works. 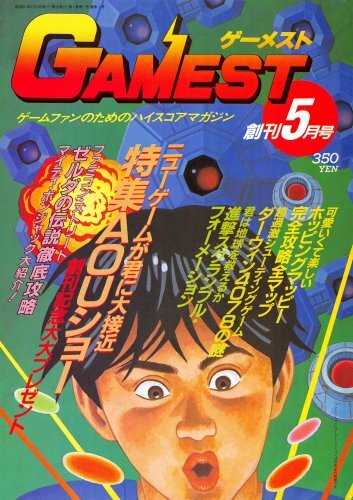 It was released for the Famicom on October 12, 1990 and features Nekketsu High School competing against three other teams in a series of four athletic events. Up to four players can participate. 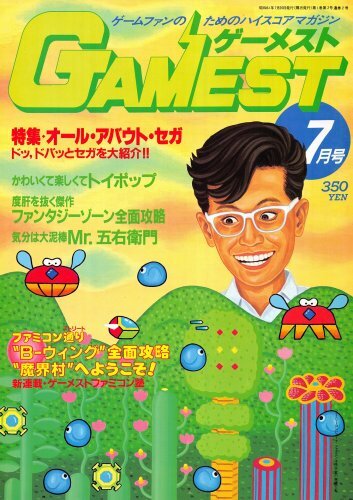 Although this game was never released outside of Japan, it was very successful and is one of the games included on the Japanese version of the NES Classic Edition (Nintendo Classic Mini: Family Computer ). PLEASE NOTE!!!! - Family Computer Magazine (and its supplements) are printed Japanese-style, meaning that the magazine's spine is on the right side and pages are opened from the left. Thus, once opened, the pages are read from right to left, with the right page coming before the left page. In order for the pages to display correctly if viewing in two-page mode, "Japanese mode" should be enabled. In Cdisplay, this is easily accomplished via the CTRL-J hotkey (or through the configure menu). If viewing in single page view, the pages will display in the proper order regardless, though keep in mind that again, the page is read from right to left. 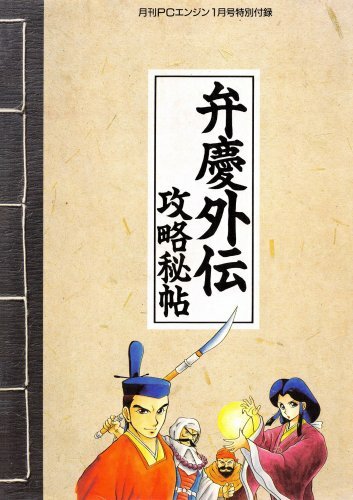 60 page strategy guide for Momotarou Densetsu Turbo, an RPG developed and published by Hudson Soft for the PC Engine on July 20, 1990. Super Momotarou Dentetsu Delicious Kankou Guide (Super 桃太郎電鉄デリシャス観光ガイド - lit. 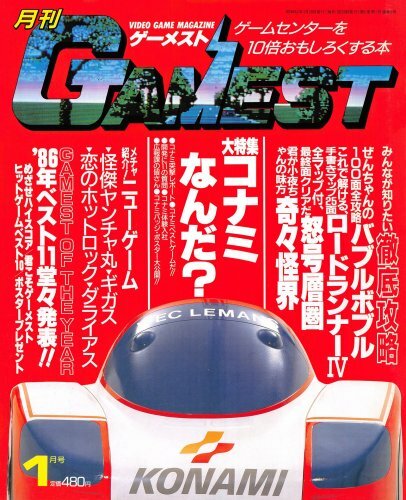 Super Momotaro Electric Railway - Delicious Sightseeing Guide) is a supplement that was included with Gekkan PC Engine issue 10, published October 1989. Thanks to ccovell for donating the issue. 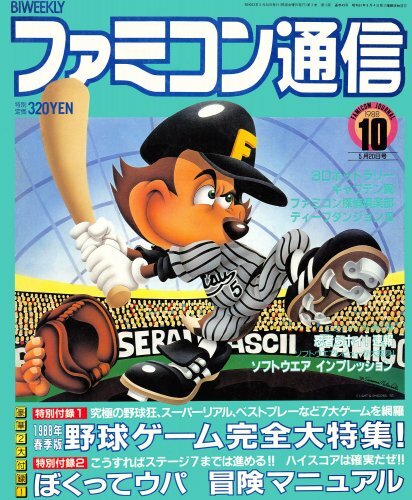 Also the gavas bucks page was missing, so he provided a scan of that page to make the mag complete. 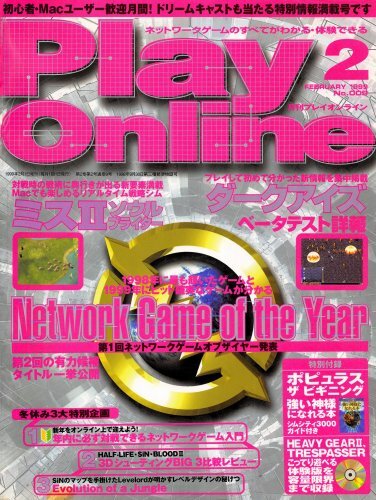 For anyone who missed it in my forum thread, Gavas were a big scam run by Famitsu to trick kids into thinking they could win fabulous prizes by buying every issue of Famitsu that hit the stands. Below is a closer look at just how impossible getting those prizes actually was. 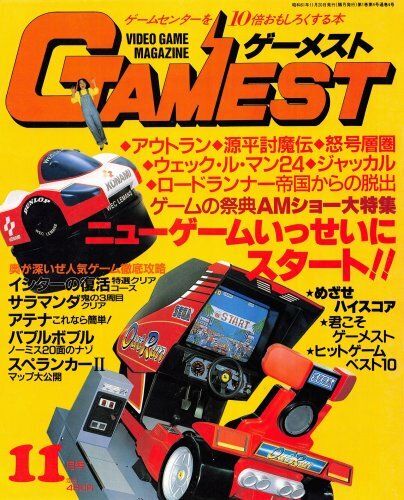 Listed are the prize, the amount of Gavas needed to win the prize, the number of Famitsu issues you would need to purchase in order to have enough Gavas, and approximately how much that many issues of Famitsu would cost. These are all in 1988 dollars, so it would be much more today. 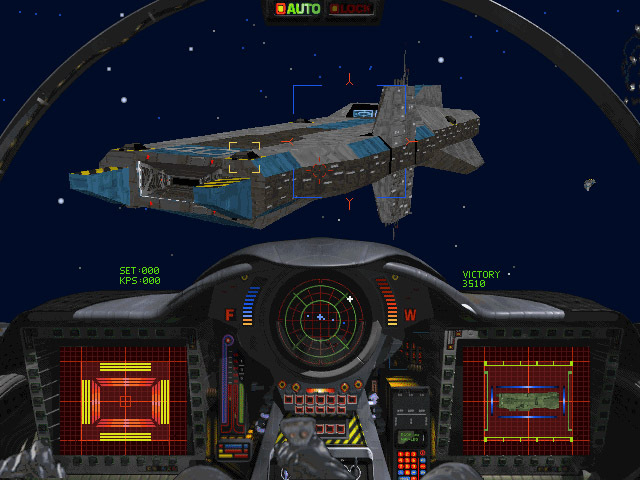 The credits on this one are more complicated than usual, so an explanation is in order. This issue was a collaboration between ccovell and myself. 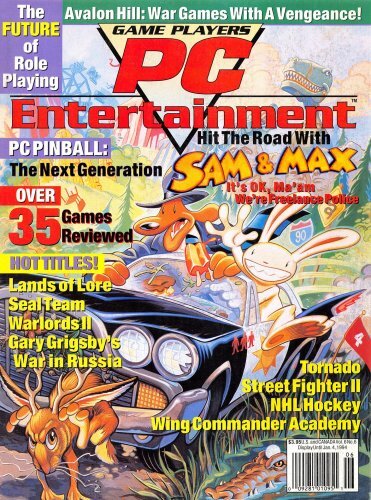 The magazine itself was donated by ccovell, but after I scanned it, I realized there were some pages missing. It turned out that there was a Dragon Quest III sticker sheet as well as a Dragon Quest III supplement missing from the copy that was donated to me. 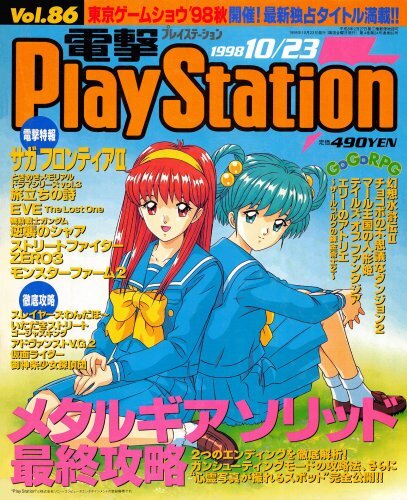 Normally supplements would be considered separate anyway, but in this case, the supplement was included in the magazine's page count, so I wanted to include it. ccovell was kind enough to scan the supplemental pages from another copy he owns. So: pg 67-68 and 77-96 were scanned by ccovell. All other pages were scanned by me. All edits by me. 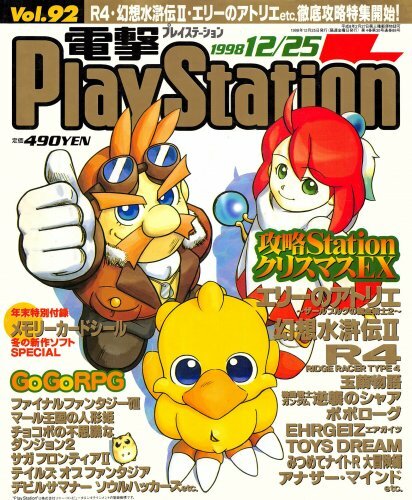 This issue marks the (as of yet) oldest issue of Famitsu to be scanned for our archives (the scan of issue 1 is of a half-size reproduction, not an original issue). Enjoy! 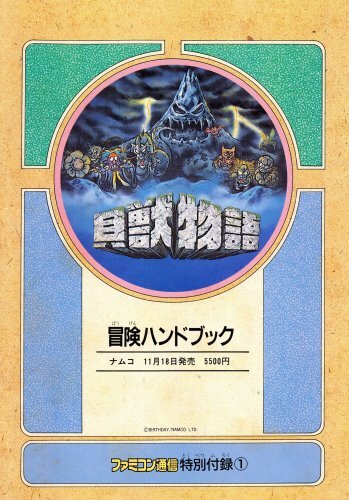 Contains maps, monster manual, and magic guide for Kaijū Monogatari (貝獣物語), an RPG developed by Birthday and published by Namco for Famicom on November 18, 1988 in Japan.